We are so grateful for those of you brave enough to add your comments during our FB Live on the Impact of an Affair. How we progress through life impacts our relationships and all we do. Join us as we take your comments on the impact of aging in this FB Live. Rejection hurts. And there is a way through it, as we discovered with those of you who shared your moments of rejection and what you did to deal with the pain. What is your relationship to death? As a followup to our podcast - we explore how death is central to the meaning of life. 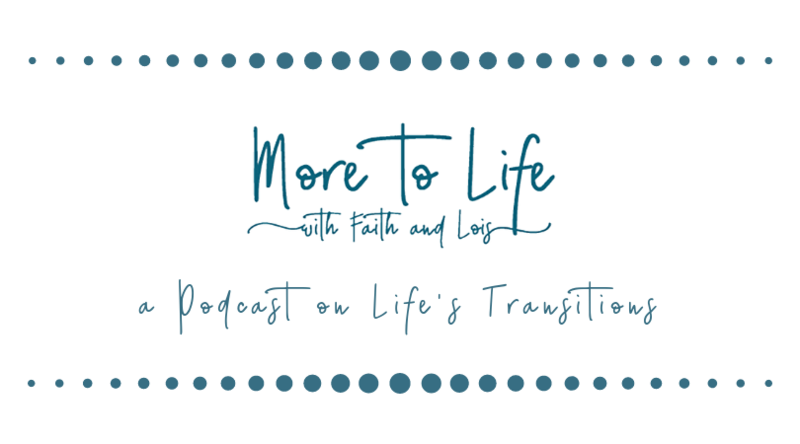 Faith and Lois talk about this week's podcast and the four steps of going through personal evolution. What a fun evening.